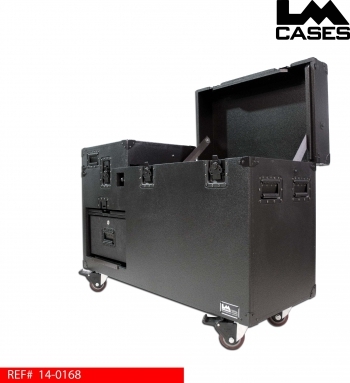 This case was designed as a personal workbox for Harrison Lippman at Volt Lites. 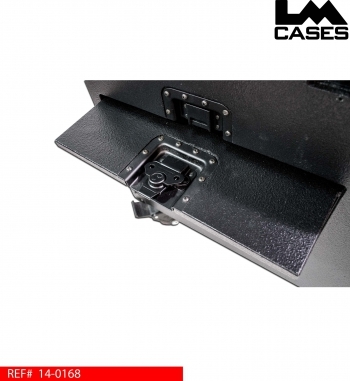 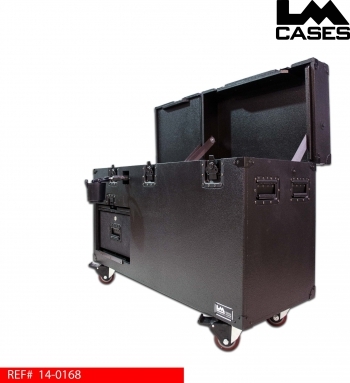 The case is designed to sit perpendicular to a lighting console on the left hand side. 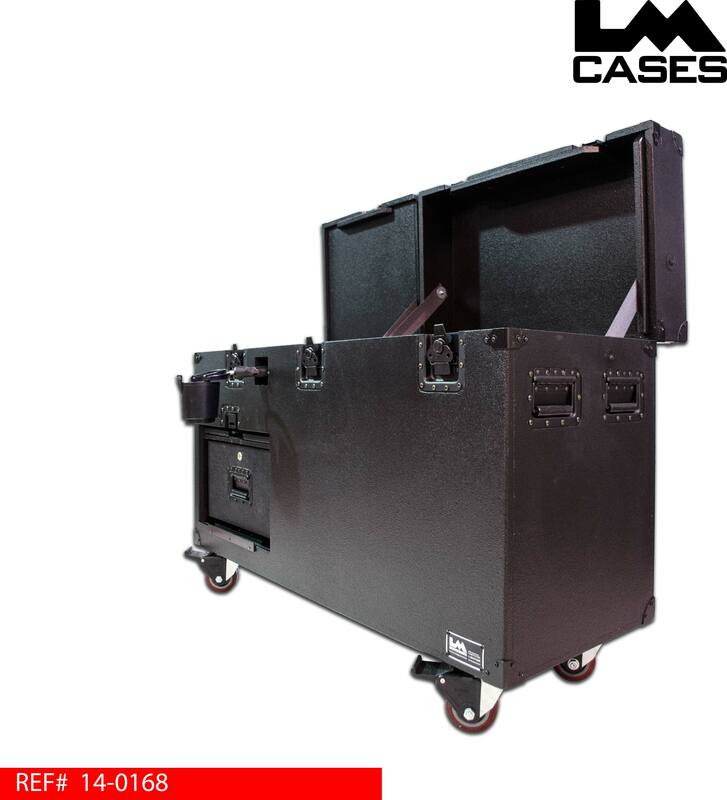 The workbox is split into 2 sections: the right section holds support items like monitors and cables for the lighting console, once the console is set up the case can be rolled next to it. The left side of the case has storage for Harrison's backpack as well as a drawer for file storage. The split lid design allows the access to daily items like his back pack and files with out interfering with the deeper side next to the console. 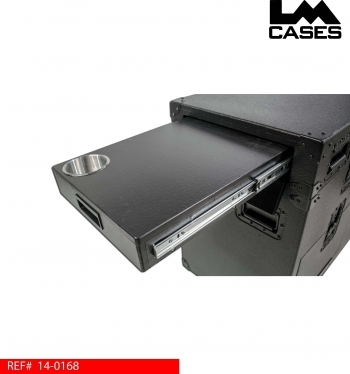 The left lid features a pull out shelf to act as a writing surface which is helpful if someone is calling cues or learning a show, the shelf features a cup holder to ensure a spill free script. 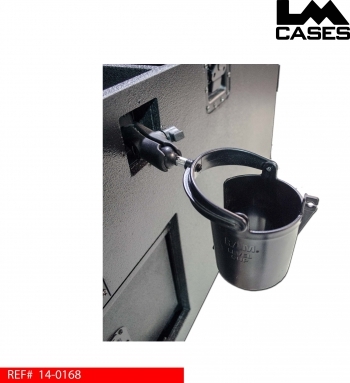 The case also features a removable cup holder mounted on the exterior of the case than can be moved in a variety of positions to ensure a cold drink is always in reach. 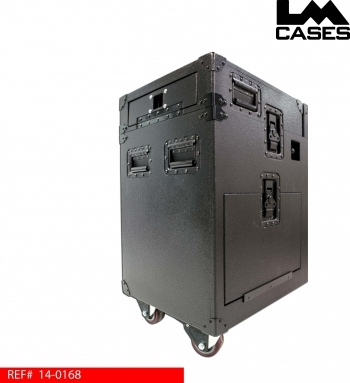 The case is built out of 3/4" Baltic Birch and black texture coated. 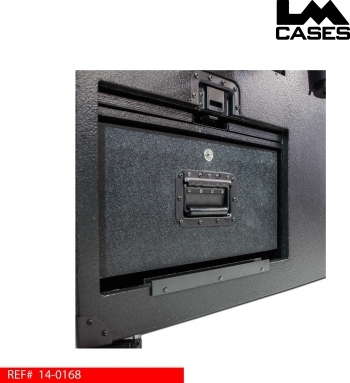 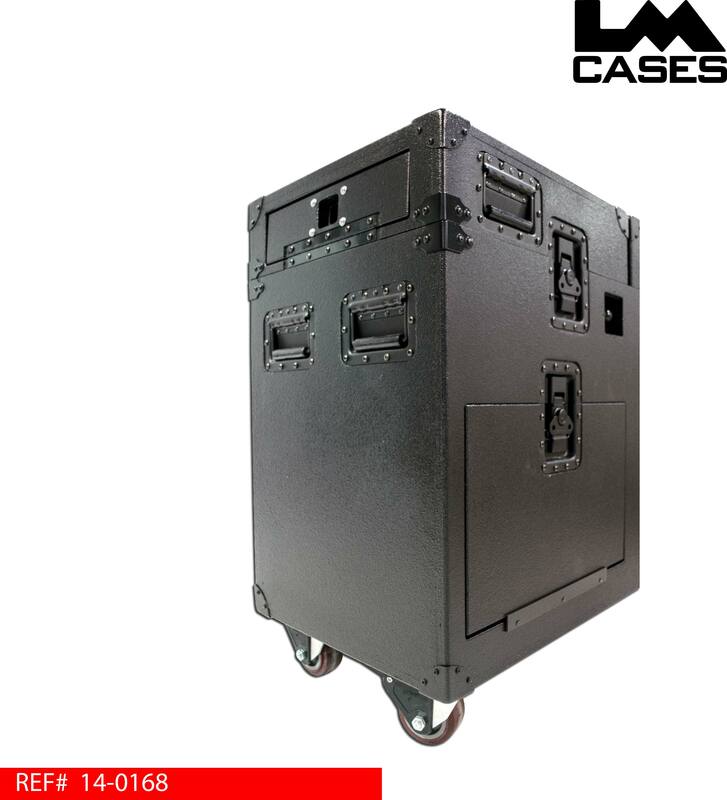 All the case hardware is powder coated black to minimize reflectivity under lights. 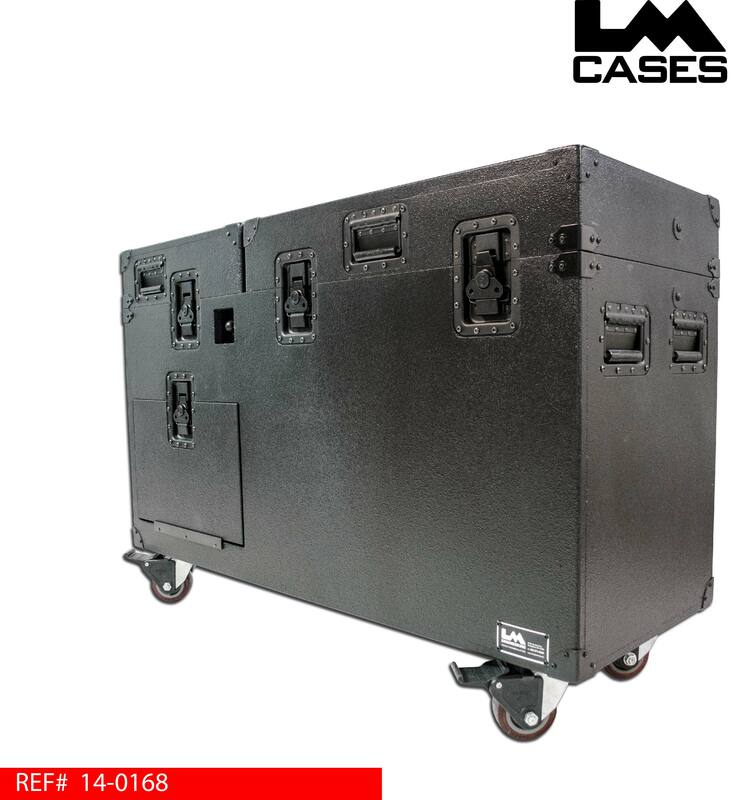 Special thanks to Harrison and the Volt Lites team!